Martina F. Ferracane is a Research Associate at ECIPE. Her work focuses on digital trade and cross-border data flows. She is particularly interested in technological advancements such as Internet of Things and 3D printing, including in the context of long-term societal and economic development. Previously, she worked at the European Commission (DG DEVCO) and at UN-ESCAP in Bangkok, where she focused on trade policy and protectionism trends. Martina is also actively engaged in social entrepreneurship. She is the founder and president of Fab Lab Western Sicily, a non-profit organisation which is bringing digital fabrication to Sicilian schools. In addition, she is managing the Brussels Entrepreneurship and Innovation meetup group and she recently spent few months in a Fab Lab in Brazil to learn digital fabrication techniques. Martina has also co-founded a start-up in the area of 3D printing and dentistry. 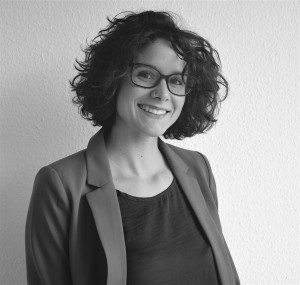 Since May 2016, Martina is a PhD student in Law and Economics at Hamburg University, where she is specialising in the area of cross-border flow of data. She holds a Master’s degree with honours in Economic Internationalisation, Integration and International Trade from University of Valencia in Spain – where she was also awarded a prize for academic excellence – and gained her Bachelor’s degree with honours in Economics and Institutions of International and European Integration from ‘La Sapienza’ University of Rome. She also attended a semester of courses in international economics and monetary policy at Stockholm University.